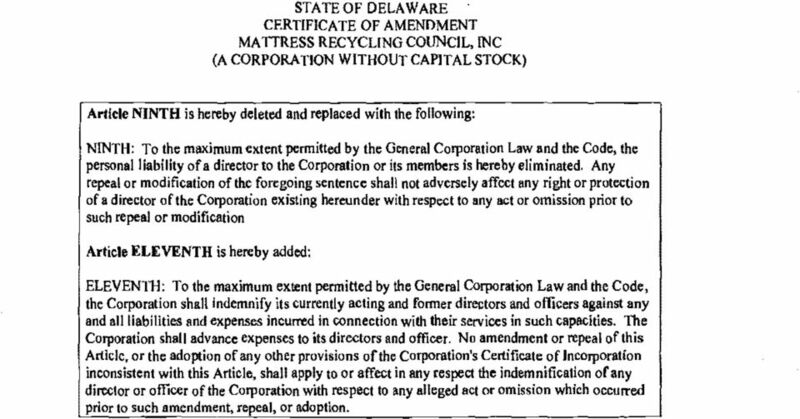 Download "tjje[aware PAGE "Ifie :First State I, JEFFREY W. BULLOCK, SECRETARY OF STATE OF THE STATE OF"
6 STATE OF DELAWARE CERTIFICATE OF AMENDMENT MATTRESS RECYCLING COUNCIL, INC (A CORPORATION WITHOUT CAPITAL STOCK) Article NINTH is hereby deleted and replaced with the following: NINTH: To the maximum extent pennitted by the General Corporation Law and the Code, the personal liability ofa director to the Corporation or its members is hereby eliminated. 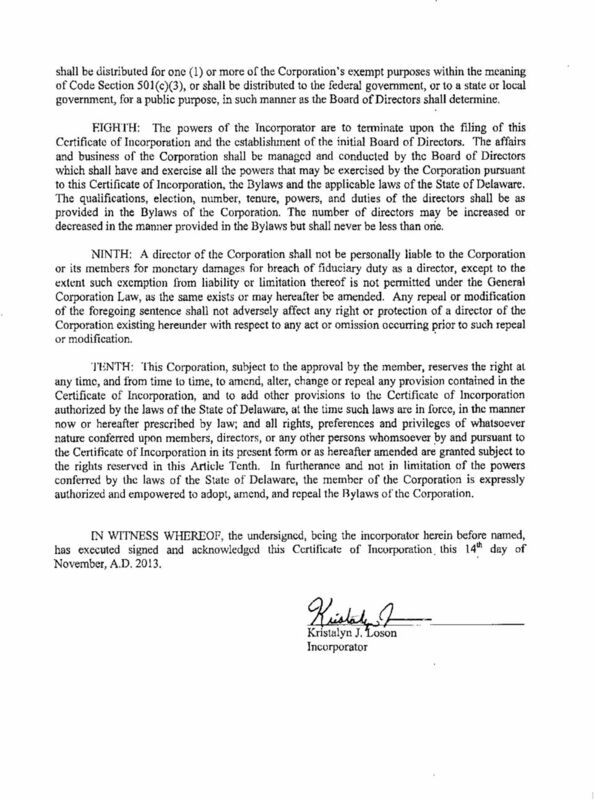 Any repeal or modification of the foregoing sentence shall not adversely affect any right or protection of a director of the Corporation existing hereunder with respect to any act or omission prior to such repeal or modification Article ELEVENTH is hereby added: ELEVENTH: To the maximum extent pennitted by the General Corporation Law and the Code, the Corporation shall indemnify its currently acting and fonner directors and officers against any and all liabilities and expenses incurred in connection with their services in such capacities. The Corporation shall advance expenses to its directors and officer. 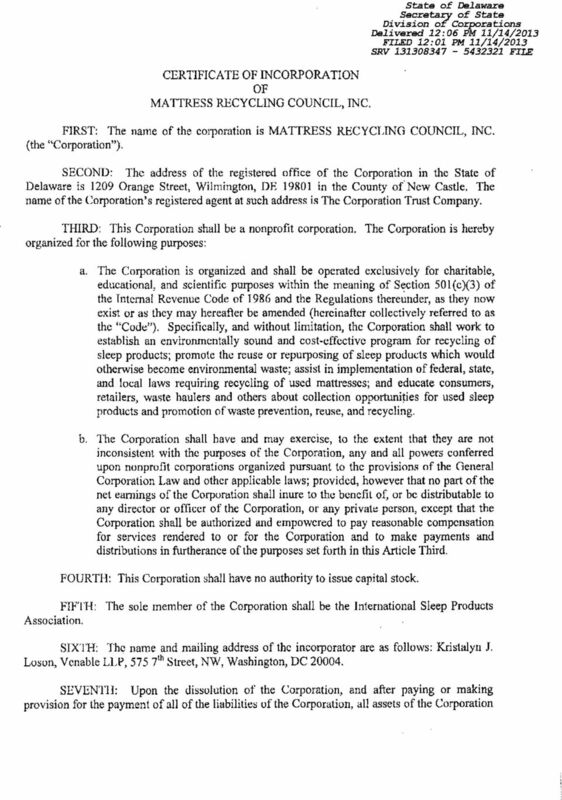 No amendment or repeal of this Article, or the adoption of any other provisions of the Corporation's Certificate of Incorporation inconsistent with this Article, shall apply to or affect in any respect the indemnification of any director or officer of the Corporation with respect to any alleged act or omission which occurred prior to such amendment, repeal, or adoption. 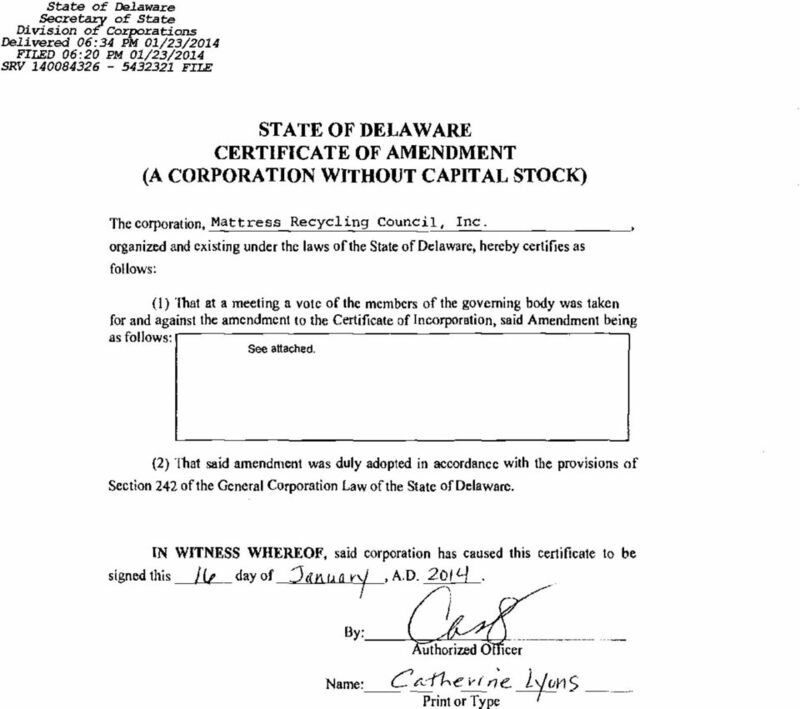 AMENDED AND RESTATED CERTIFICATE OF INCOPORATION OF FMDIC, INC. (NOT FOR PROFIT) 1. The current name of this Corporation is FMDIC, INC. Certificate of Incorporation Of Lochwood Property Owners Association, Inc. 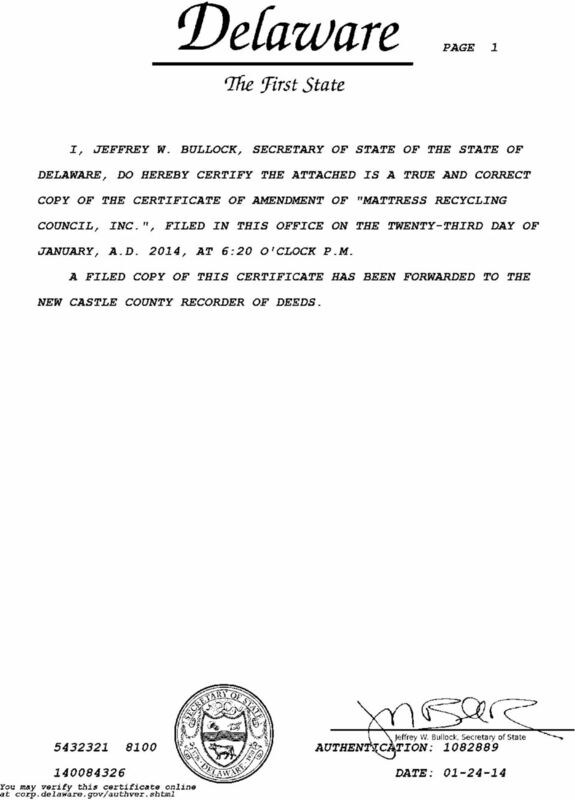 ARTICLES OF INCORPORATION OF EAGLE RIDGE PROPERTY OWNERS ASSOCIATION, INC. ARTICLE I Name; Registered Agent; Principal Office The name of this corporation is EAGLE RIDGE PROPERTY OWNERS ASSOCIATION, INC.